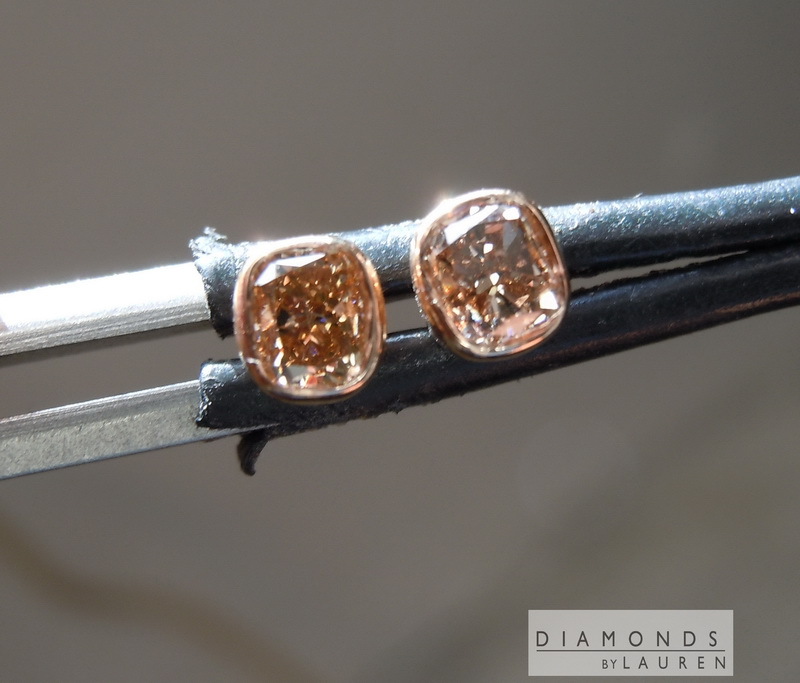 We start with a pair of brown diamonds, but there's a lot more different colors in there. I do see a bit of rosiness, and also orange hues. 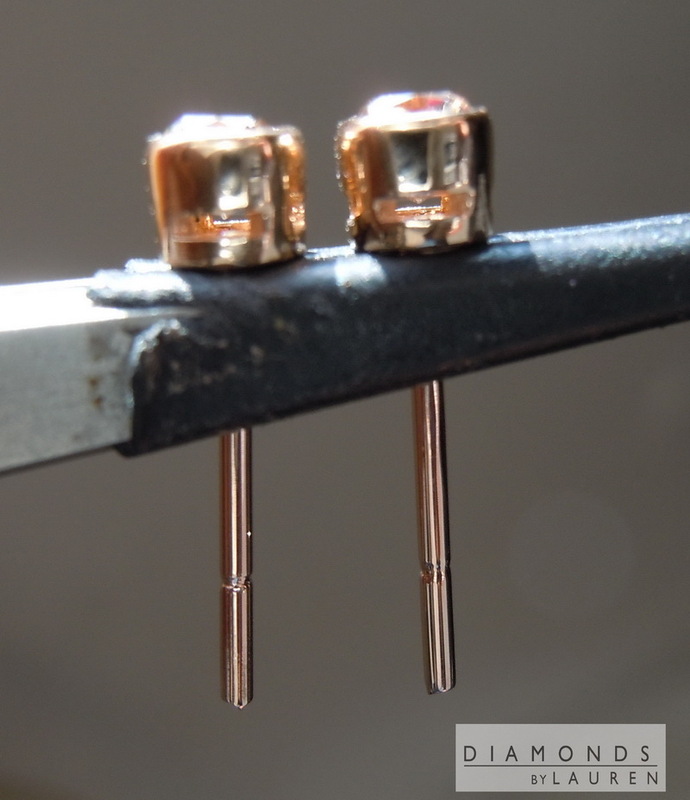 They are nicely cut, so we get a lot of sparkle. 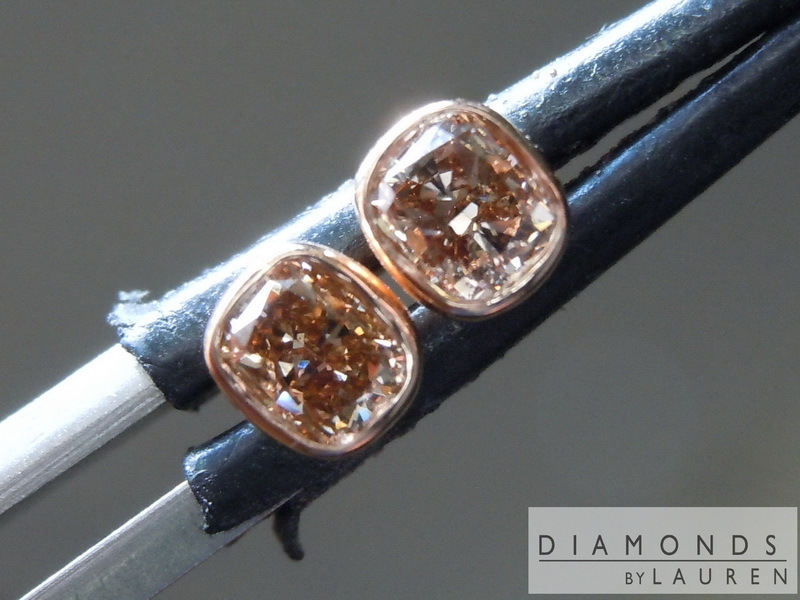 Set entirely in 18k rose gold, with hand made bezels.